Third place at the British Schools Karting Championship (BSKC) 2012 National Final was taken by Ponteland High School, with world champion karter, Matthew Graham (17) and his team mates, Christian Harrison (17) and Daniel Barber (18). Over 600 teams entered the championship this year, meaning more than 1850 students have taken the chequered flag at karting circuits around the country during the competition. Will Tew, Championship Director at the BSKC said: “The skills of the teams are improving with each year and that has been demonstrated in the tightest final yet. The BSKC was started to give young people a chance to experience the thrill and excitement of motorsports, and excitement is certainly what we got in the final. “What has impressed me the most is how racing has instilled a sense of responsibility in the teams taking part. They should be incredibly proud of themselves. I have never seen such a professional display from such young men and women. The BSKC is an arrive and drive karting championship that aims to bring competitive, cost effective karting into UK schools. 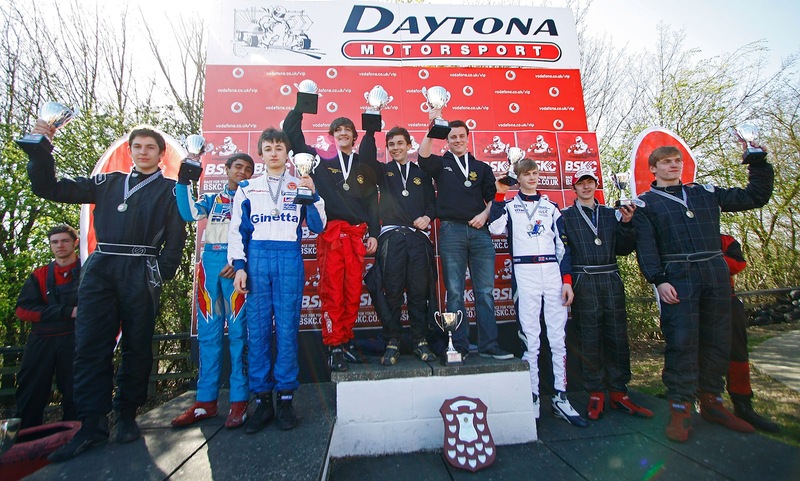 Since it began in 2006 with just 22 teams competing, the popularity of the championship has grown and this year, there are 617 teams competing to win the title of British School Karting Champions 2012. For details of the karting finals or more information on the BSKC, visit www.bskc.co.uk. You can also follow them on Facebook and on Twitter at @karting_bskc.